London Great news from Seattle as a major US city stepped up and put workers on track to make $15 per hour. Regular minimum wage workers would see their wages in smaller enterprises go up steadily until 2021 to achieve that level. Big employers with 500 or more workers, like Amazon, would get there between 2017 and 2018 depending on their health insurance. Council members said they were going someplace people had never been. Really, they are only going there first. Professors asked for comment said they had never studied the impacts of “a doubling of the minimum wage.” But, as we discussed recently, this is not as radical as the chest thumping presumes. The current minimum wage in Washington State is not the measly $7.25 federal level but a more robust $9.32, indexed to inflation with annual bumps. So, going to $15 per hour is a jump of $5.68 over 7 years or 81 cents annually, rather than the annual 70 cents per year increase that we saw with the last federal increase under Bush many long years ago. No one was foolhardy here. They kept in line with established precedents and practice in raising minimum wages, they just got there first and led the way, and hip-hip-hooray for them! Importantly, tipped workers are fully covered in this jump, and given the number of areas around the country where they have been frozen at bare pennies above two dollars per hour for the last twenty-two years, that’s huge in and of itself. To Washington’s credit tipped employees have been fully covered by the state minimum wage already, joining a select crowd, largely in the West that includes only Alaska, Oregon, Montana, Nevada, California, and, oh, yeah, let’s keep it nice in Minnesota, too, and give Hawaii some props for only being a quarter under the minimum there. Crazily in an early story on this victory, a bartender in Bellevue was quoted saying that $15 per hour would lower his tips, so he was betting he would still do better in Bellevue with the lower state minimum wage than bartenders would do in Seattle. How silly? Like he’s going to stay behind that bar for 7 years to find out? Or, like bar customers are going to think that their tender or servers getting another 80 odd cents per hour every year aren’t still depending on their tips. This is the kind of economic analysis that is keeping this guy behind the bar and servicing an exploitative business model in the food and beverage industry throughout the country. What workers really know is that their regulars tip more than casuals and the home folks way, way more than tourists. You get good tips for good service from people who care about you and care about the kind of service they get at your establishment. 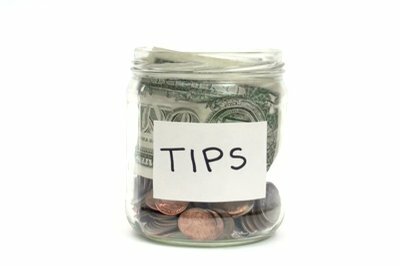 As long as there are tips, that doesn’t change, only the local tradition and culture in the country, where believe it or not there are places in the world where workers turn back tips as a professional insult, or where wages are seen as decent so the level of tipping is more minor or more American. Tipped workers in Seattle are always going to do better than tipped workers now in Bellevue and most other places in the country, because they’ll have a higher minimum wage to start with, rain or shine, and weather does matter, and, let’s face it, their regulars make more money in Seattle than the rest of Washington, even Bellevue, and certainly than America, so they’ll always do better, dude. Recently when the Michigan legislature bit the bullet and raised their minimums to try and take the steam out of a ballot initiative, the head of the Restaurant Opportunities Centers (ROC) continued to clamor that it didn’t work because it didn’t raise up tipped workers. She’s right and the Bellevue bartender is wrong. We have to do better across the board here, so that all boats rise when the minimum wage goes up. This entry was posted in Citizen Wealth, Financial Justice and tagged low wage workers, minimum wage increases, seattle, tip workers, workers by Wade. Bookmark the permalink.